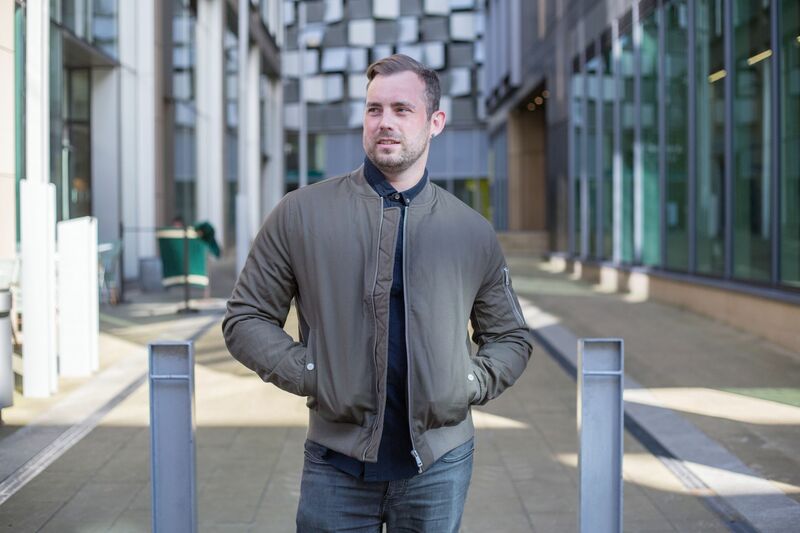 If you’re regular on the Leeds food and drink scene you might be familiar with Leeds Loves Cocktails, an annual event tailored for cocktail lovers. 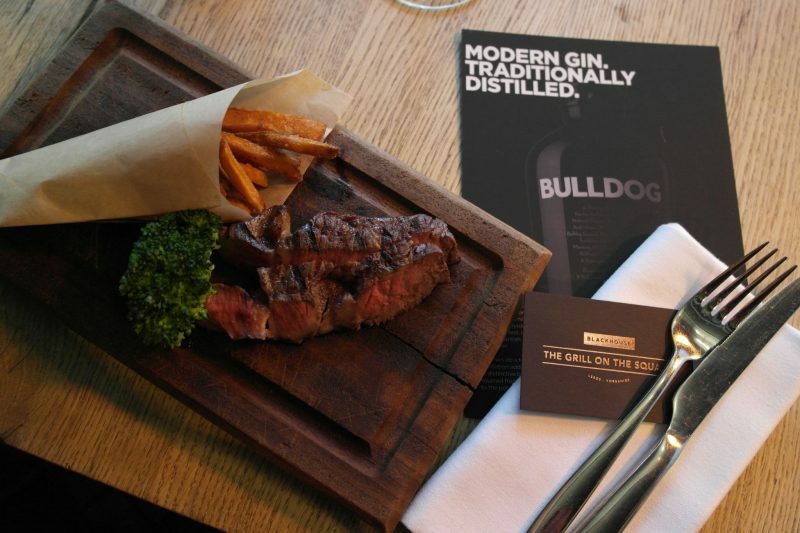 As part of the week, Bulldog Gin have teamed up with the popular Leeds steak restaurant to bring you Blackhouse Meats Bulldog Gin, a night of perfectly paired steak and Bulldog Gin cocktails… personally I can’t think of anything better! 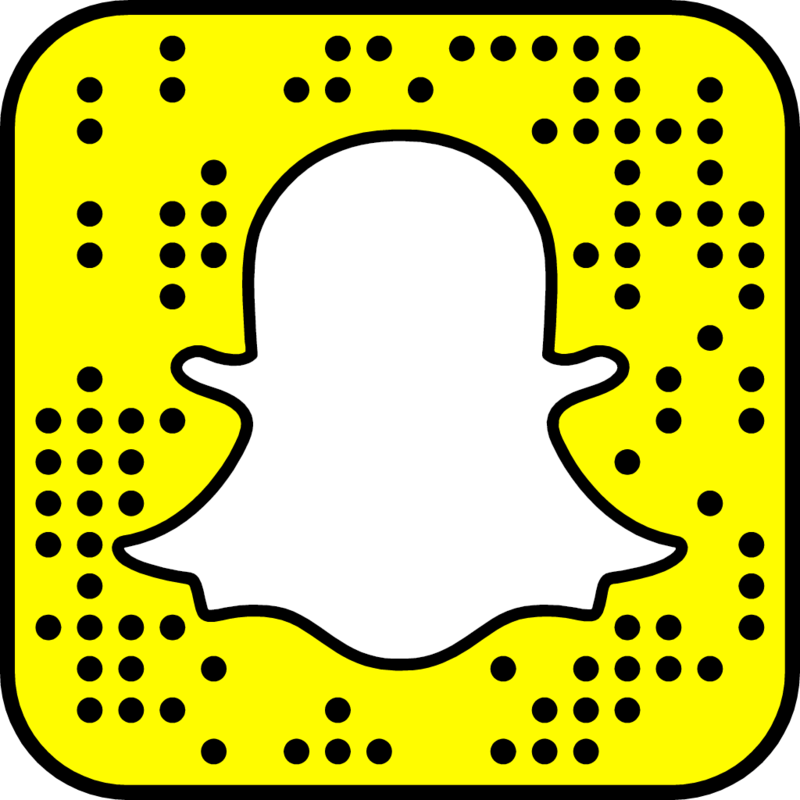 I was lucky enough to be invited along with a friend to check it out. 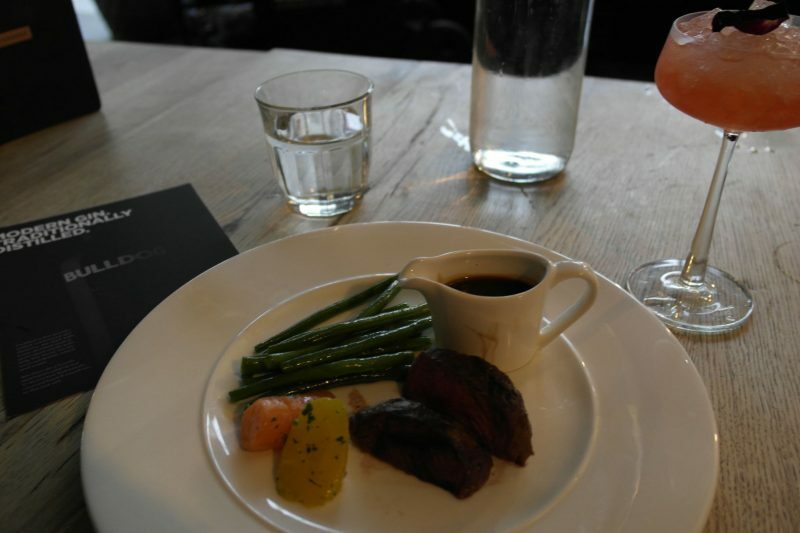 If you’re a regular reader, you might know how much I enjoy visiting this restaurant, in my last review of Blackhouse The Grill on The Square where I described it as one of the best steak restaurants in Leeds. 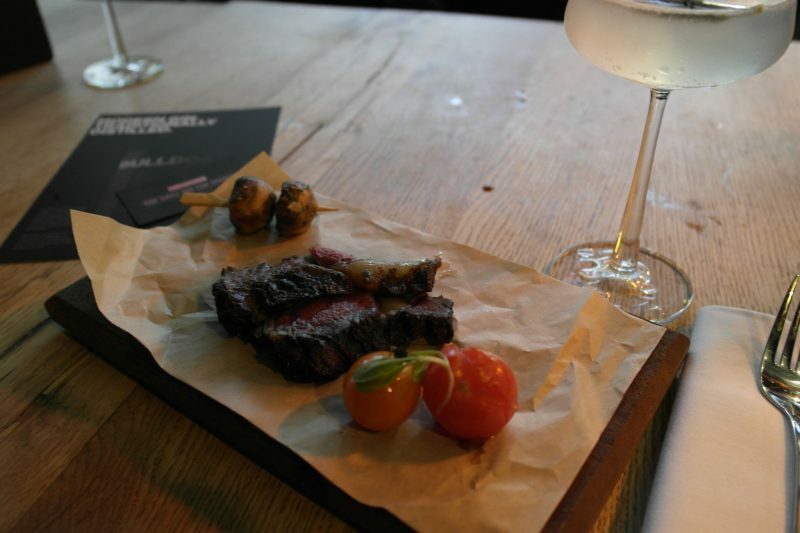 This event had me excited as it was a mix of two beautiful things… steak and gin! 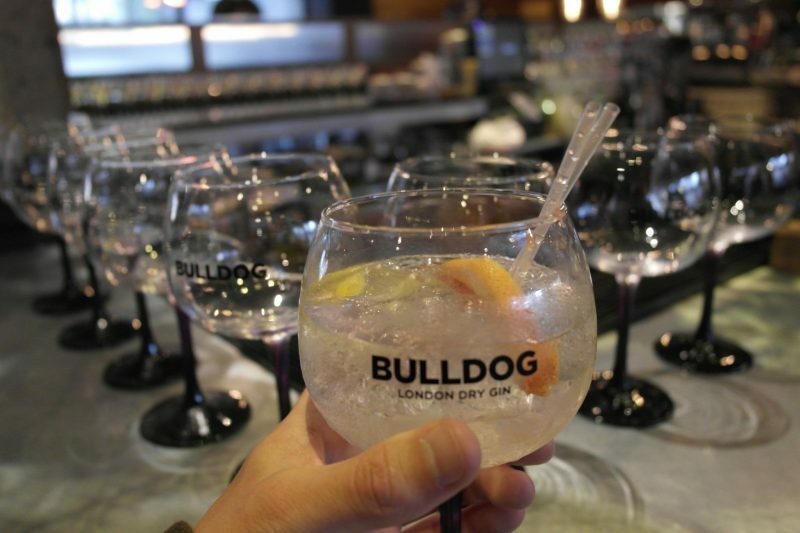 The evening started with a meet and greet at the bar and we were introduced to our first gin… a zesty and very refreshing gin and tonic! After we’d sipped our way through the first drink we headed into the conservatory to be seated. 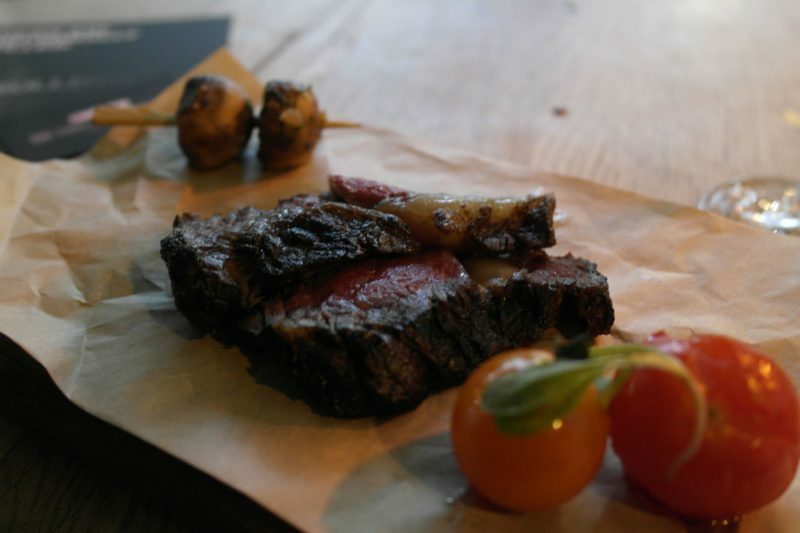 First up on the menu tasting menu was Argentinian Ribeye, this country is well known for producing world class meat! This is a steak that has deep marbling, and shouldn’t be cooked any more than medium! Rib eye steaks have a reputation as being the most flavoursome! For me, I’m always torn between fillet and rib-eye. 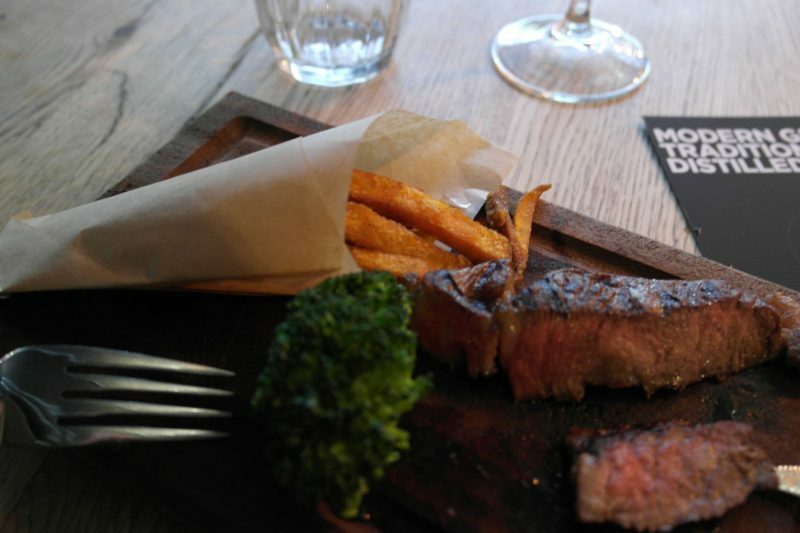 This steak was a succulent and delicious cut, cooked perfectly and the sweet potato fries were the ideal accompaniment! Definitely one of my favourite cuts of the evening. This was paired with Scouts Honour, a cocktail made from Bulldog Gin, passion fruit, clove syrup and mint, which was shaken and served short. For me, the flavours of the clove and mint infused really well to give a very distinct, slightly unusual taste. 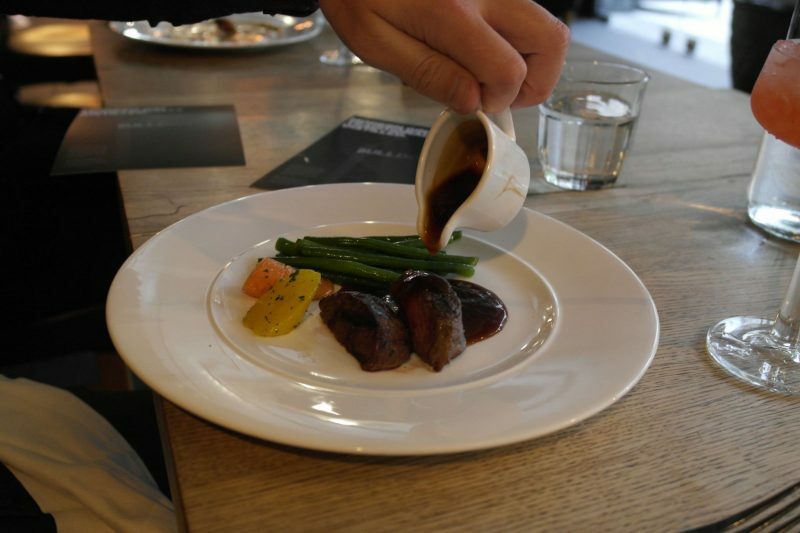 The second steak we were served was Galician sirloin, which is cut from retired British dairy cows. Cattle that have been bred on lush meadows of the South West for 15 years. This gives the steak raindrop marbling and deep flavour. Indeed it was rich in flavour and so tender. The only bad thing is that it seemed to go so quickly! 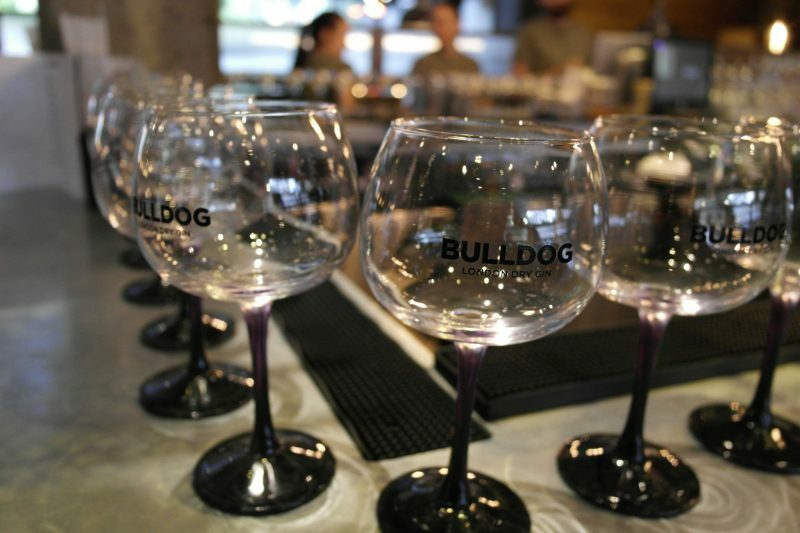 This steak was paired with Black rose crush; Bulldog gin, Fraise de bois, fresh lemon, fresh strawberries, basil, and black pepper, served over crushed ice and topped with a rose petal. 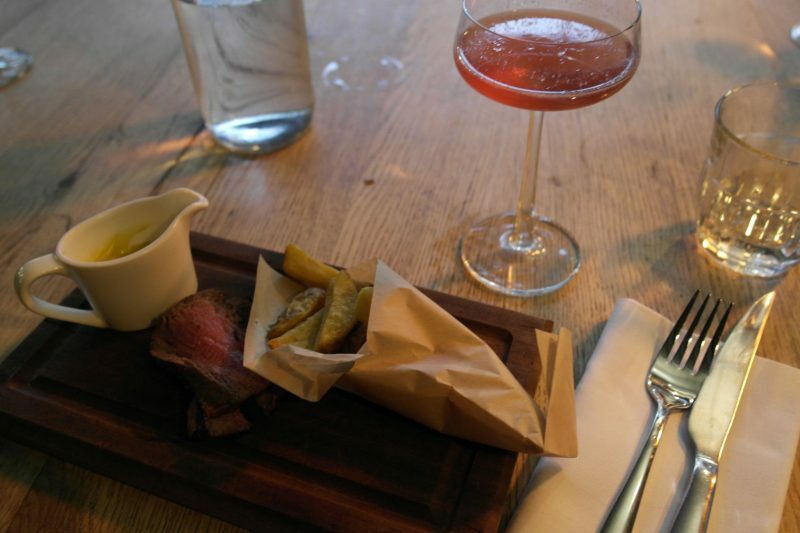 Next up on the taster menu was Butcher’s Block Ribeye, cured with Himalyan rock salt from the foothills of Pakistan. This cut is dry aged in-house for 28 days in the rock salt maturation chamber, which can be seen in the restaurant! 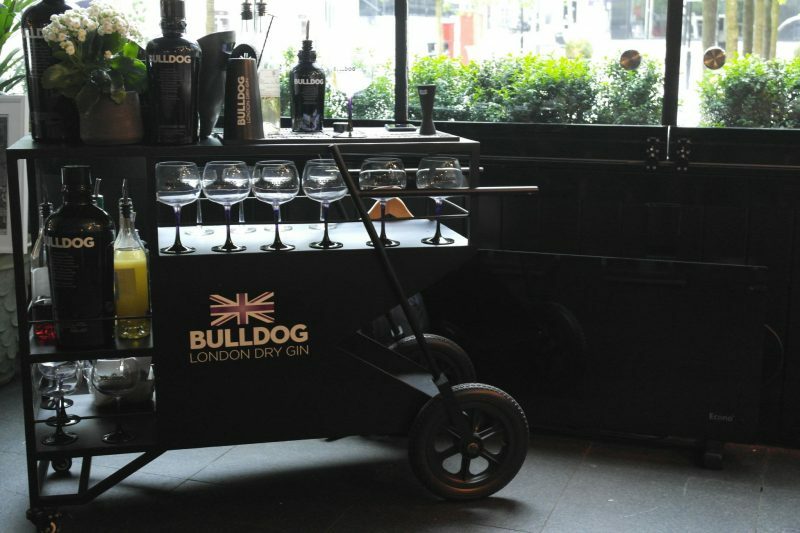 This was chosen to go with the Rosemary Spritz cocktail, Bulldog gin, Rosemary infused syrup, Lemon and served topped with tonic water and a fresh rosemary sprig. This was a very tasty and refreshing cocktail and one of my favourites from the night! 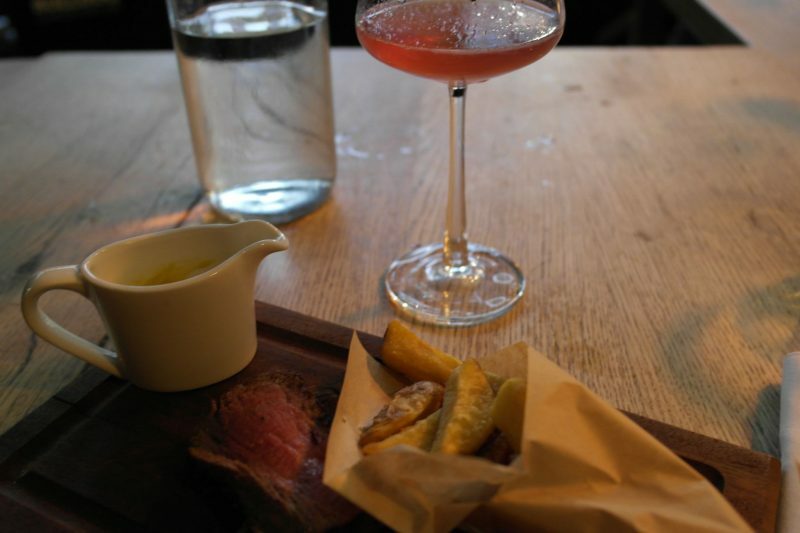 The cocktail paired to go with this steak was Blossom berry; made up from Bulldog gin, Crème de mure, Clove infused syrup, rhubarb, fresh apple juice, lemon and fresh blueberries. I loved the infusion of different flavours in this cocktail, the rhubarb especially stood out. 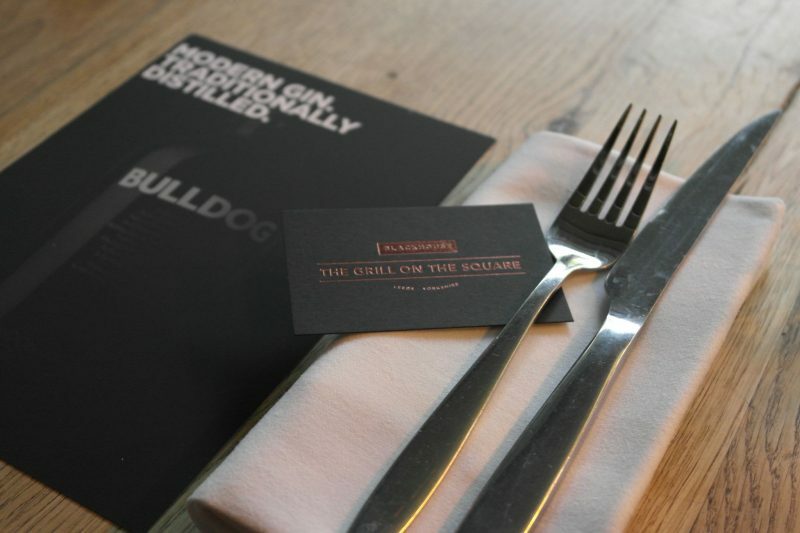 I had a really good evening and a for me it was a nice introduction to Bulldog Gin, which somehow I’d previously not tried and not forgetting learning about and sampling some of the Blackhouse signature cuts of steak! Have you got a favourite cut of steak? Let me know in the comments box below. *Food and drink was complimentary for review purposes. All views and opinions are my own.